What's not to like about our first ever AAS strawberry winner Strawberry Delizz® F1? 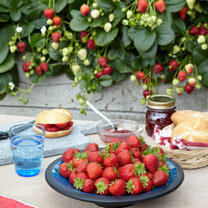 These vigorous strawberry plants are easy to grow and produce an abundant harvest throughout the summer until September. The best part though, is the wonderful sweet strawberry burst of flavour from every handpicked berry. These strawberry plants have a nice uniform and compact size making them perfect for containers, hanging baskets or garden alike. The hardest part of Strawberry Delizz® F1 won't be the growing - but having some strawberries left for anyone else to enjoy! 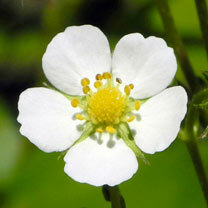 Unlike most other strawberries these are day neutral, meaning they will crop throughout the summer. This means you'll have sweet, juicy fruit for months on end rather than just in June.